Bata is easily one of the most trusted brands in Kenya. This is especially the case when it comes to boys and girl’s school shoes. It helps that you can find a Bata outlet in almost any street in all major town in Kenya. But for those looking for a little more convenience, it’s also possible to buy Bata shoes online. And who else to bring you this convenience if not the biggest online store in the country; Jumia Kenya? With as little as Ksh. 399, you can now buy all kinds of ladies shoes from flip flops to sandals, heels to boots.Whether you are going for comfort or style, usual or official shoes, you’ll find a pair that is just right for you. 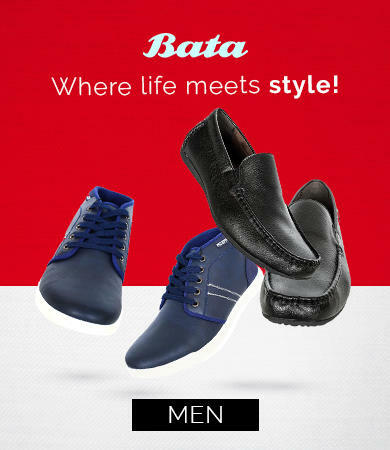 Men’s bata shoes start at Ksh. 799. Different styles, colors and makes are available online and you can buy today from the comfort of your home or office. Once you make your order, your purchase will be delivered to a location of your choosing. You can decide to pick up at any of the Jumia Pick up Points spread all over the country or you can have it delivered to your doorstep. Remember that if you’re not comfortable, you do not have to pay as you order. Just choose Pay on Delivery and you will have the option of paying for your order when you’ve received it. To buy Bata shoes online, just click on any of the images above or visit Jumia Kenya’s Bata Shoe Company page by following the link.